Using your digital picture or original photo, we can create a reproduction using dye-based inks and UV protective coating on artist grade poly-cotton blend canvas. This has the feel of a vibrant, oil-on-canvas painting. 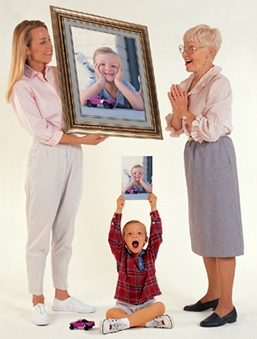 The result is an affordably priced, museum quality masterpiece of your memorable photo that can be cherished for a lifetime. Mail - Mail the photo to CanvasArts Inc. Image Decor / Canvas Arts Inc.